DIY: Write a text, praising his every doing – work, family, your love life, his physique. Go point: Be vocal, either in texting, calling, or the social media! When was the last time you praised your husband for being so hardworking? When was the last time you praised him for how he makes love to you? When was the last time you praised him for being an active father to your children? When did you last praise his leadership both at home, work or in ministry? When did you last praise his listening skills or his patience? We do take this thing for granted you know. Probably he’s not as active as you, but praise him into being active. Praise him for his intentional acts of pursuing you- even if not your way. Praise him for being so hardworking and sweating off to provide for you. Praise him! You better buy a tutu skirt and shake it all for him! Our God dwells in the praises of his people. God loves praise. Praise draws people and praise will draw your husband to you. He might not be all that, but praise him into greatness – you will see the change! Many time I expect my husband to praise me and see the good in what I do for him, yet I rarely remember that he too deserves it too. Teach me to praise my husband in everything that he does no matter how trivial it seems to me. Teach to be his greatest fan and supporter. Teach me to be a wife who sees the greatness in him. Teach me to number my days in wisdom, that I will spend little or no time in being a prosecutor, but a great cheerleader in all he does. Lord teach my heart your ways, for you are full of wisdom. I need more wisdom Lord in my marriage. 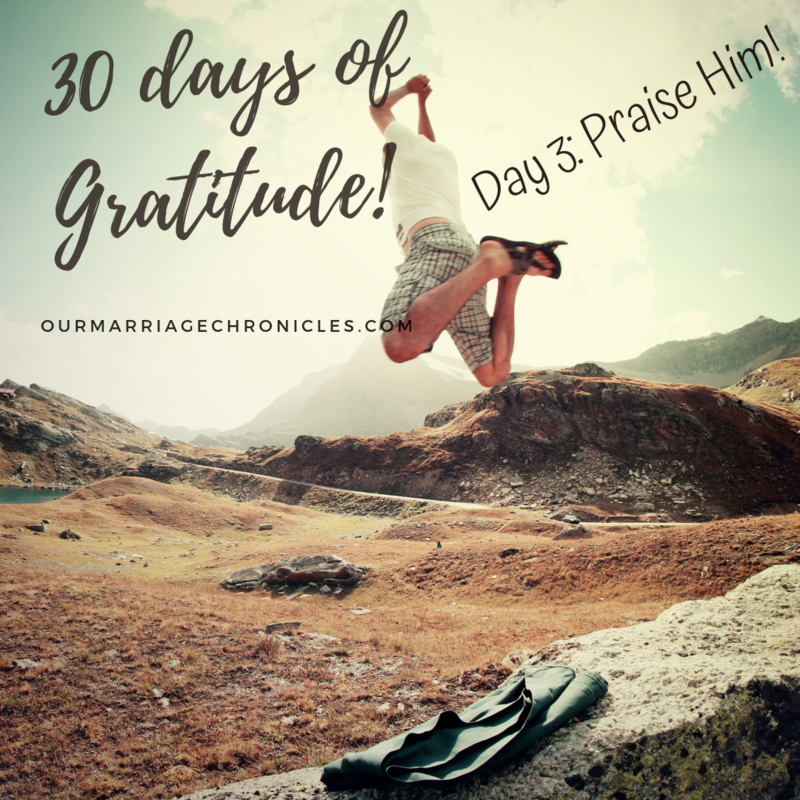 Previous Post30 DAYS OF GRATITUDE - DAY 2: ENCOURAGE HIM! Next Post30 DAYS OF GRATITUDE - DAY 4: LISTEN TO HIM.